2019 Autumn season starts this week! We have a record breaking 14 teams next season so very exciting to get the matches underway. Look forward to seeing all the new and returning teams this week! 2019 Autumn Season Applications Now Open! 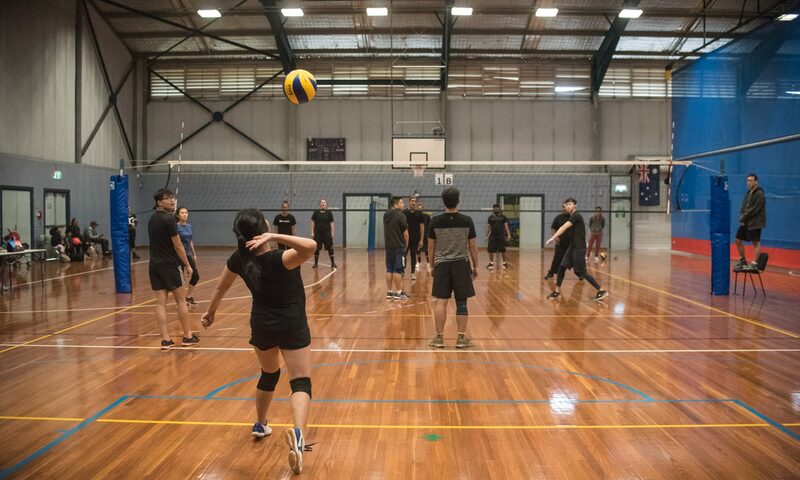 Join our next season of volleyball beginning 5th of August at Marrickville PCYC, 5-7pm on Sundays! Teams of all skill levels are welcome and new teams will receive FREE jerseys upon registering, spots are limited! This may be the last season we ever offer this special deal! Get in your application here! It is on a first come first serve basis so be sure to get in your applications quick! Don’t have a team? You can join as an individual as well and we’ll put you onto a team with other like-minded individuals! Hope to see you soon! Final Season for 2018 Applications Now Open! Join our next season of volleyball beginning 28th of October at Marrickville PCYC, 5-7pm on Sundays! Teams of all skill levels are welcome and new teams will receive FREE jerseys upon registering, spots are limited! Congratulations to Wakanda4Ever who claimed victory over Karasuno in the grand finals in two close sets (25-19, 25-23). Teams have a one week break before the next season starts again on the 5th of August! 2018 Spring Season Applications Now Open! Expression of Interest is now live! Expression of Interest is now live for our very first season! Click here to fill in your interest!